RIT members with a computer account can register a vehicle through the myParking Account online services. Using the online services will be faster and more convenient. (Please use this form for General, Temporary, Alumni, Retiree and Gym Member permits). Alternatively, you can fill out a physical copy here. 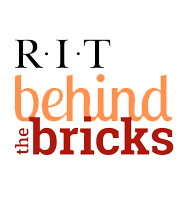 All RIT members must use the online appeals process through the myParking Account web services. This PDF form is to be used only by non-RIT members. RIT members with a computer account can purchase reserved permits through the myParking Account online services. Using the online services will be faster and convenient.